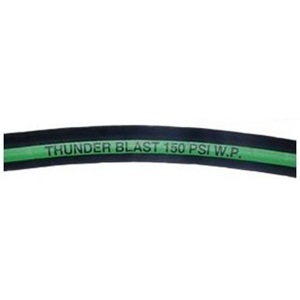 Black, conductive SBR/NR blend-abrasion and ozone resistant-pin pricked. Reinforcement: 4 ply high tensile textile cords. Tube: Static conducting natural rubber, offering excellent abrasion resistance. Working Pressure: Constant pressure 150 psi.